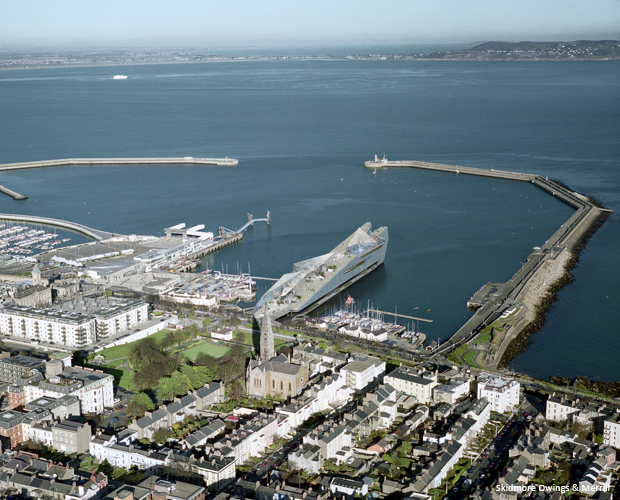 The proposal for the redevelopment of Carlisle Pier was an international competition entry that focused on establishing a new cultural landmark whilst restoring the historical pier in Dún Laoghaire. 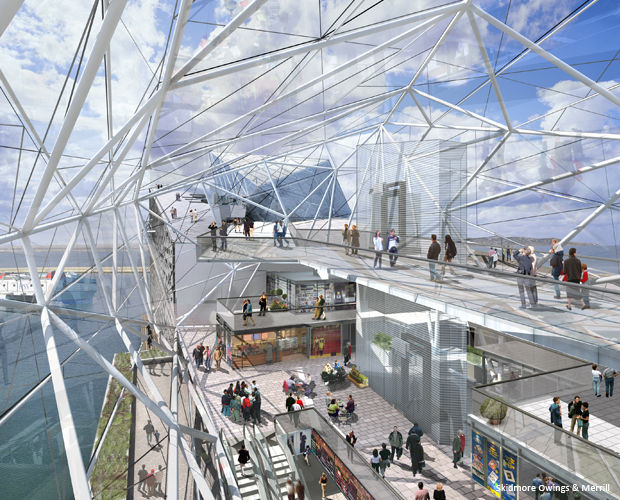 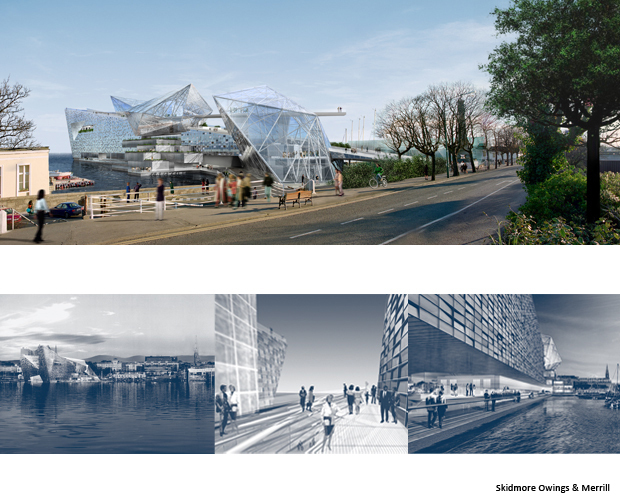 Conceived as a mixed-use development, including 300 residential apartments and parking, the heart of the design proposal is a new National Maritime Museum, boutique retail and public space extending the promenade. 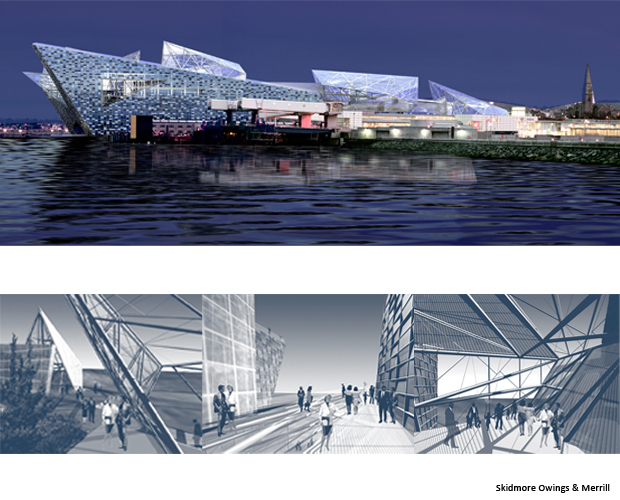 The traditional esplanade flows naturally into a dynamic public space sloping gently above the residential programme, providing a new vantage point that captures magnificent views across the harbour and city. 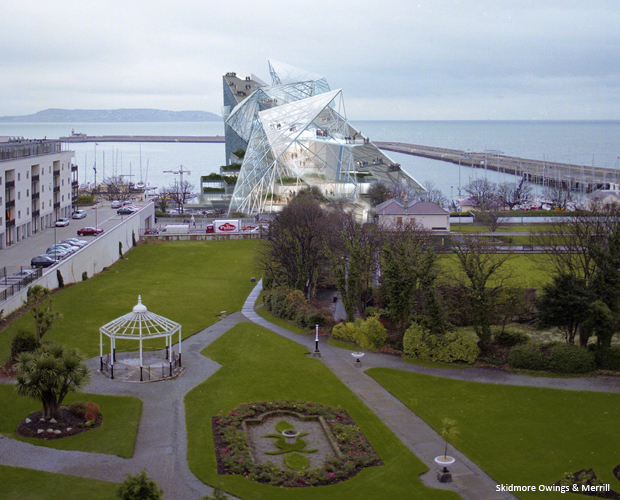 Set as crystals within the new public space the museum and retail pavilions create a destination for the city, celebrating it’s historical Maritime significance and assisting the regeneration of the waterfront. 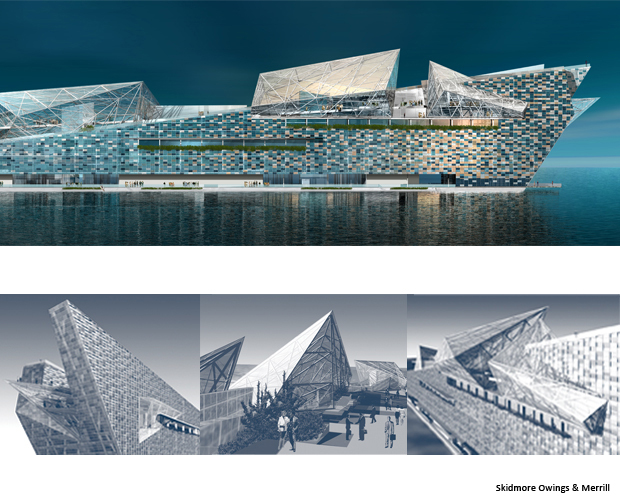 The tilted panel façade of the new pier is designed to shimmer and reflect the changing nature of the harbour from day to night and across the seasons.